July is National Blueberry Month so you know what this means? Yes! 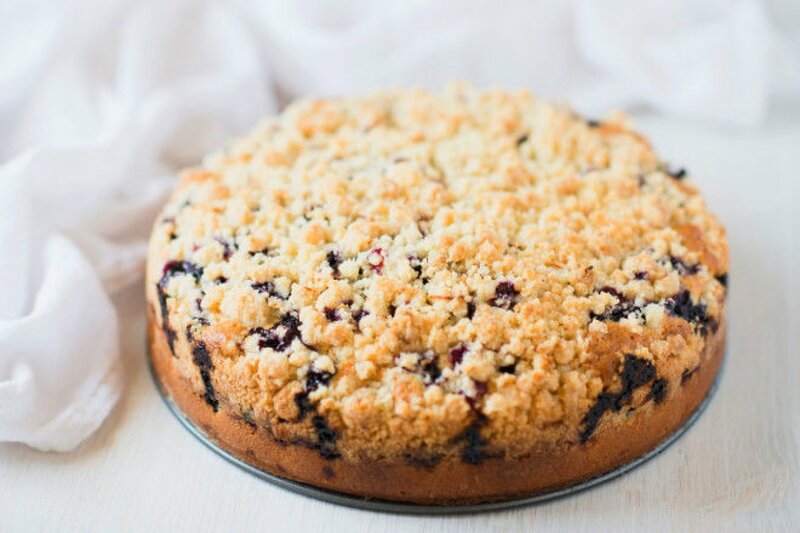 Delicious blueberry recipes from BlogsRelease. Today, I have a Kraft recipe featuring the oh-so-delicious blueberry: Crumble Topped Blueberry Sour Cream Coffee Cake. Preheat oven to 350 degrees. Grease and flour a 10 inch spring form pan. Topping In a small bowl, stir the flour, sugar and zest until blended. Add the melted butter, using a fork stir the mixture until crumbly and set aside. Cake In a medium bowl, stir together the flour, sugar, baking soda, salt and the baking powder. In another bowl, whisk together the eggs, sour cream, and vanilla until well blended. Make a well in the center of the flour mixture and add the sour cream mixture. Beat with and electric mixer on medium speed until smooth, about 2 minutes. Pour the batter into the prepared pan and spread evenly. Cover evenly with the blueberries. Sprinkle the topping over the blueberries. Bake for 40 to 45 minutes until top is golden brown and a toothpick inserted into the center comes out clean. Cool on a wire rack for at least 20 minutes then remove the sides of the spring form pan. Cut into wedges. If you like this recipe stay tuned for every Friday in July. There will be a new blueberry recipe for you to drool over.